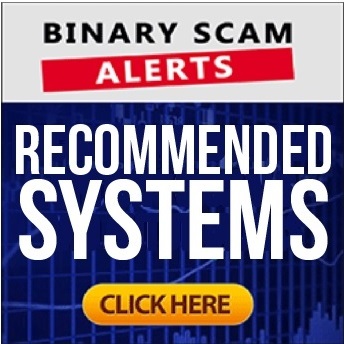 Binary Scam Alerts » Forex Scam Reviews,Social Trading » eToro Review, SCAM Social Trading and Forex Platform Or Legit? Welcome to our eToro social trading and Forex software official scam review and investigation. We have received multiple queries about social trading, copying trades, and following expert traders. 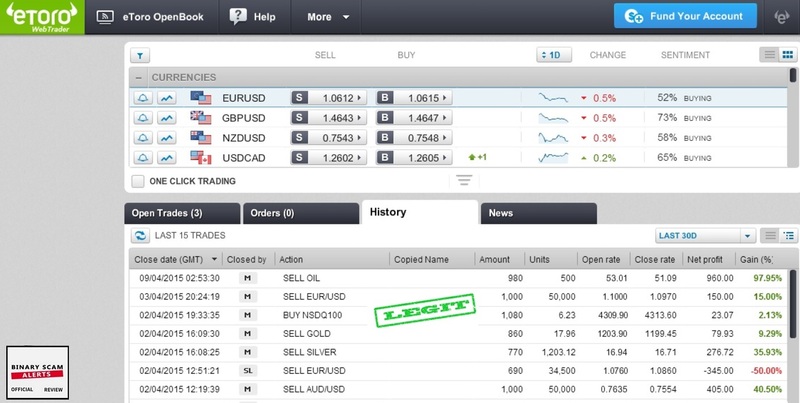 So naturally we decided to take a look and examine this popular Forex trading platform to see what benefits it holds, if you can really make money through the system, and whether or not this system is genuine or just another financial scam which should be blacklisted. Our results may surprise you so keep reading to see if eToro steals your money or worthy. With more than 4 million customers currently trading within their platform, it’s not hard to see why eToro is a big name getting lots of attention. Since its updated version was released in 2015, eToro has been gaining even more ground. With one easy to follow platform, investors can manage, trade, and broker all their investments from a single interface without having to sign up for additional services. According to Wikipedia eToro is a “social trading and multi asset brokerage company that has registered offices in Cyprus, Israel and the United Kingdom”. It was founded in 2007 by the CEO Yoni Assia and David Ring and has around 350 employees across the world. eToro is a social trading platform that has woven flexibility into the makeup of its system to ensure an easier, faster, and more streamlined approach to trading. Their system includes social trading, so even if you’ve never made a trade in your life or don’t know where to start, you can actually make money on the stock market by following social trends and industry experts’ advice on what to trade and when. As the world’s largest social trading network, eToro excels at giving everyone a fair chance to maximize their stakes in the market. eToro’s entire platform is built around making trading accessible to everyone. They’ve designed their system to be as user-friendly and transparent as possible. Terms are carefully explained, tutorials are readily available, and policies are straightforward and consistent throughout the site. What’s more, swap rates are regularly published on eToro’s site. Market Copy Funds: This is a complex algorithm that builds off of themes and preferences traders set themselves. These run on auto-pilot (i.e. without human intervention) once you’ve set the preferences. Top Trader Copy Funds: This follows the top traders in the network and makes investments according to their patterns. The initial minimum trade begins at $50-$100, depending on which region you are trading from and the minimum initial investment (deposit) is $50. Cashing out is super easy. Once your account is verified and all documents have arrived you usually receive your payment in a matter of 3-5 business days. To fund an account you can use most major credit cards including Skrill (Moneybookers), Neteller, Paypal, and Wire Transfers. The eToro site has incorporated a whole suite of tools specifically for beginner traders who haven’t gotten their footing in the market yet; tools like the preset leverage gauge will help beginners to understand the possible gains and losses of a particular trade so that the moves they make aren’t theoretical but can actually be seen in real-life terms. And while eToro designed its system with the new traders in mind, weathered pros have also found a comfortable place within the platform. Another angle that new and veteran traders will enjoy is the live chat function. People can interact with expert traders and peers instantaneously through direct chat windows or public discussion boards to glean valuable, knowledgeable advice on what the best trades of the day are. Etoro is licensed and regulated in various jurisdictions. eToro (Europe) Ltd., a registered Cypriot Investment Firm (CIF), business number HE20058 and also a UK regulated exchange and has”given permission to provide regulated products and services” according to UK law. US Traders are not accepted. eToro is structured so that traders can have multiple trades running simultaneously. In fact, many copy trades are set up so that they can run for several days or weeks, so an investor can have multiple trades running concomitantly. I Got Scammed Before – How’s This System Different? Unfortunately, in the world of online trading many con artists operate freely. Fake apps are designed to look like legit trading robots, when in fact they are run by thieves who are just trying to steal your money. But with fake reviews, fake testimonials, and fabrications sprinkled across seemingly “honest review sites”, how can you tell what’s spam and what’s not? Here are a few things to look out for? Complaints: While every business garners a few frustrated customers, if an auto-trader is getting an overwhelming number of complaints from users, it is a sign that this site should be blacklisted. Complaints include but are not restricted to any form of hyped-up or exaggerated claims of easy money, inflated bank accounts, misleading or deceptive information (false advertising), one-sided or irregular broker policies, and lastly customer service which is either unprofessional, pushy, or just insincere. Fraudulent Software: The software does not do what the broker claims it should. Unethical Affiliate Marketers: If someone is using very aggressive sales tactics, especially if your hear something like “make an easy million from the comfort of your own home”, it’s generally a sign that something fishy is going on behind the scenes. Conversely, the best platforms in which to invest will offer quality services such as a demo account, transparent policies, and consistent answers/policies across the board. Look for these tell-tale signals along with accuracy levels as advertised to know where your investments will be most profitable. So while we know for a fact that there will always be con artists out there to make a quick buck at someone else’s expense, at times it can be difficult to spot. However, in this case eToro is a trustworthy platform and an exception rather than the rule. If you are looking for Forex Robots or EA’s (Expert Advisers) we have compiled a short list of two systems which are currently market leaders. The first is the sRs Trend Rider 2.0 By Vladimir Ribakov, and the second is Wall Street Forex Robot 2.0 Evolution. Both systems offer an amazing service and recognized as market leaders in the automated Forex trading niche. The eToro social trading software and trade copier is a reliable solution that comes highly recommended by the vast majority of authority websites and blogs covering the social trading niche. There is a general consensus that after being tried and tested for quality service this platform delivers, and therefore should not be considered to be a SCAM or blacklisted. It offers an easy to use solution to the complicated trading market, and provides a wide variety of tools, advice, and information for both beginners and long-time investors. The eToro social trading platform allows everyone to take advantage of popular investors’ decisions, and makes the entire process smooth, simple, and profitable. With a mobile platform that is fully responsive as well, eToro certainly climbs to the top of our list for excellent trading robots software. For more information don’t forget to oin our Facebook Page and YouTube channel and get informed.